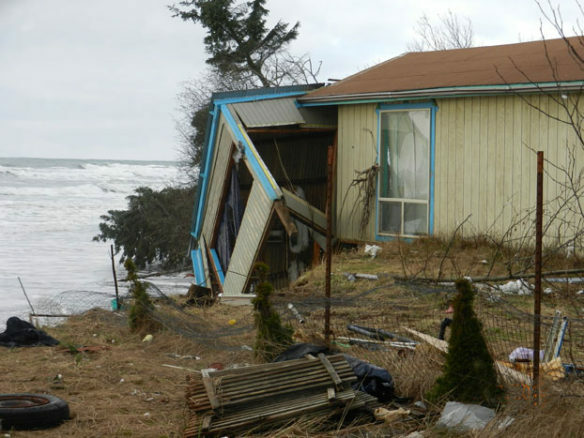 Severe coastal erosion in the Pacific Northwest, Washington state. Photograph courtesy of: ©Norma Longo. “Cape Shoalwater, Washington is the fastest eroding stretch of land on the west coast, maybe even the entire Western Hemisphere.” —Eddie Jarvis. There’s a reason a quiet and desolate strip of sand here is nicknamed Washaway Beach. Coastal erosion has claimed an average of 100 feet of this shoreline every year for the last century, according to Washington’s Department of Ecology.